“Take me with you.” If I could fit my friends, family and colleagues in my suitcase, I would, but to avoid exorbitant fees for overweight luggage, I rely instead on my favorite social networks to share real-time star sightings, emerging new talent and film discoveries at the Sundance Film Festival. It’s the next best thing to being there, right? It’s this notion of inclusiveness that is the heart of what the folks at the Sundance Institute have strived to accomplish through social media — to provide everyone – whether you are in Park City or Paraguay – with an insider festival experience. And, because the festival itself is only one moment in the journey of an independent film, Sundance’s social strategy effectively engages the film community and connoisseur well before, during and after the festival experience. Our journey began months before our flight to the mountain town of Park City when it was time to purchase tickets online during our allocated (by lottery) time slot. This can be a time-consuming endeavor as we sifted through 200 films in exhibition. What should we see? How do we get around? Will there be enough time to get from venue to venue? 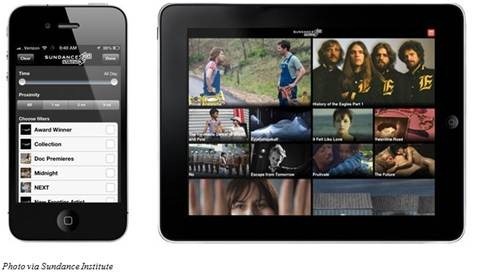 Thankfully, the Sundance Film Festival 2013 mobile app offered a killer tool to help us effectively navigate, schedule and share the movies, parties and panels at this year’s event. With access to exclusive articles and blogs, GPS and maps, photo galleries, trailers and social networks for film geeks like us, we were able to select the films with the most buzz and coordinate with fellow friends our movie, party and dinner dates. 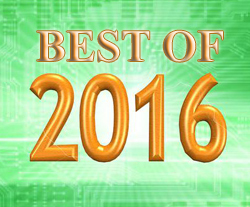 Between movies, Twitter was our go-to source for updates on the films, Q&As, award winners and more. While major media and online news outlets contributed commentary on Twitter about the festival, the Institute did its best with two extremely active Twitter handles dedicated exclusively to all things Sundance. And, this year, they did something new and completely fresh: invited guest celebrities like Mariel Hemingway and Dave Grohl to interact with fans using the @SundanceFest account. 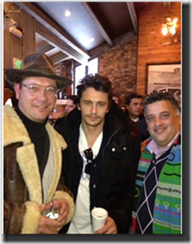 With @sundancefestnow, we were able to get 24/7 live, up-to-the-minute updates – something that proved quite helpful when it was time to “casually run into” James Franco. 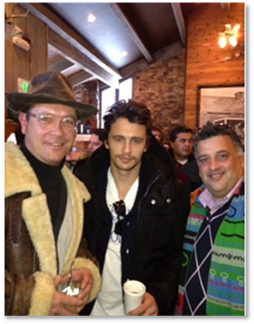 Here’s a photo we posted on Instagram with Sundance fixture James Franco. That’s me on the right, along with my partner in movies Bradley Lincoln. Since Sundance is the place to see and be seen, it’s not surprising that Sundance created, for the first time this year, pages on Pinterest and Instagram. After all, these are the perfect platforms to relay pictures taken at premieres, on the red carpet, backstage or during interviews. While Pinterest may be the social network du jour, we regularly checked Sundance’s Facebook page to make sure we didn’t miss a beat. 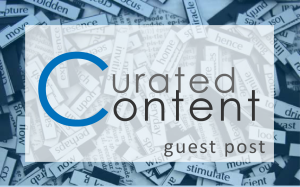 From a content perspective, the Facebook page effectively curates what’s happening in all of Sundance’s social networks – effectively serving as a “one-stop shop” to all things Sundance. What’s more, it’s truly engaging (perhaps explaining why they have more than 277K followers): every post is linked to the people, movies and groups being discussed with an average of two to three other tagged pages. Even with very little sleep, it’s just impossible to be everywhere at once. Or, so we thought. 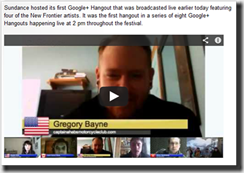 Sundance made it possible, in part, with an afternoon series of eight live Google+ Hangouts with artists and special guests. (For those that weren’t comfortable with Google+, you could also participate via Google chat or Twitter using the hashtag #SundanceHangouts). And, even though we weren’t able to snag tickets for the Award Ceremony, we were able to get up-close-and-personal with host Joseph Gordon-Levitt and other celebrities in attendance by checking out Sundance’s Livestream, a robust collection of original content, including Q&As, panels and events. So, when people asked us if we saw Spike Lee, I can honestly say we did (just not in person). For film lovers like me, the Sundance experience is far from over. We didn’t have the opportunity to check out this year’s selected shorts, but can view them in the comfort of our home by checking out The Screening Room, a new YouTube channel featuring a selection of short films that premiered at the festival. 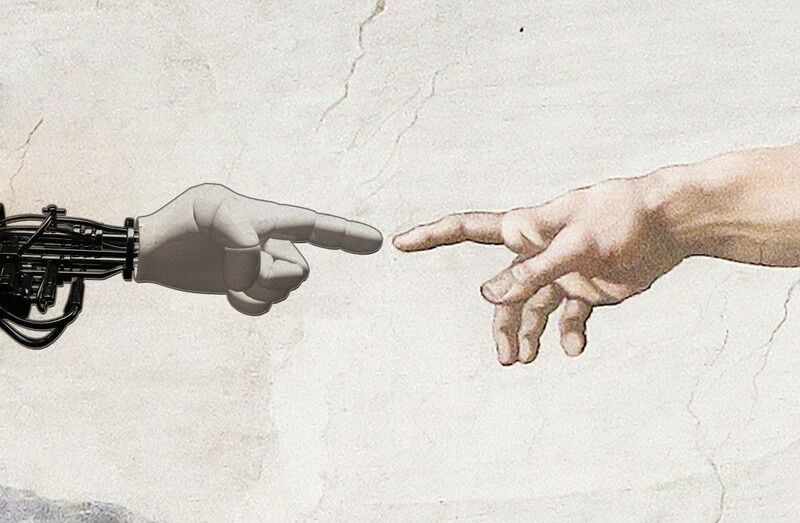 As we debate the true meaning of the movie “Concussion,” we can check out director Stacie Passon’s perspective at “Meet the Artists,” a video series created by Sundance. And, of course, we can keep tabs of the films we saw and those that we sadly missed by following their journey to a big or small screen near you on Sundance’s social networks. By embracing social, Sundance has effectively created powerful, year-round connections with film afficianados who are hungry for independent film, new voices and untold stories. Don’t take my word for it; check out the social side of Sundance for yourself. If you like what you see, join me next year for the Fest (and, no, you cannot fit inside my luggage – I’m going carry-on next year).